The new self-developed scooter engine adopts CVT stepless transmission and imported CVT belt, ensuring powerful acceleration and higher wearing abrasion resistance. Its DC ignition system with a 18-step big-power magnetor gives a bigger output power and decreases failures due to power shortage of batteries. 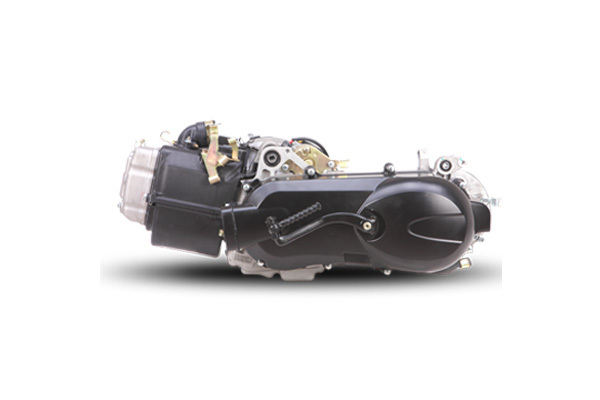 The adoption of forced air-cooled plus oil-cooled techniques reduces the thermal load of scooter engine in working condition and lengthens the service life of engine.